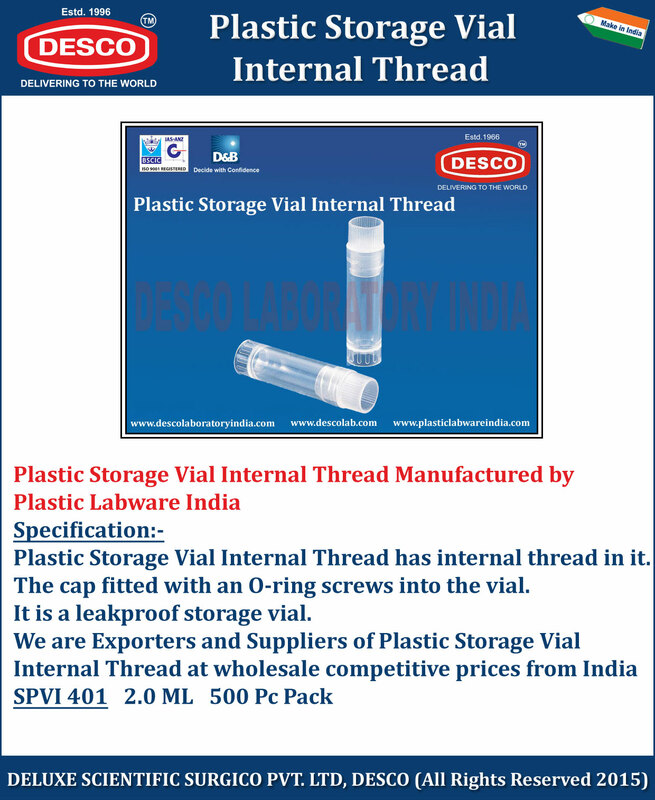 Plastic Storage Vial Internal Thread has internal thread in it. The cap fitted with an O-ring screws into the vial. It is a leakproof storage vial.